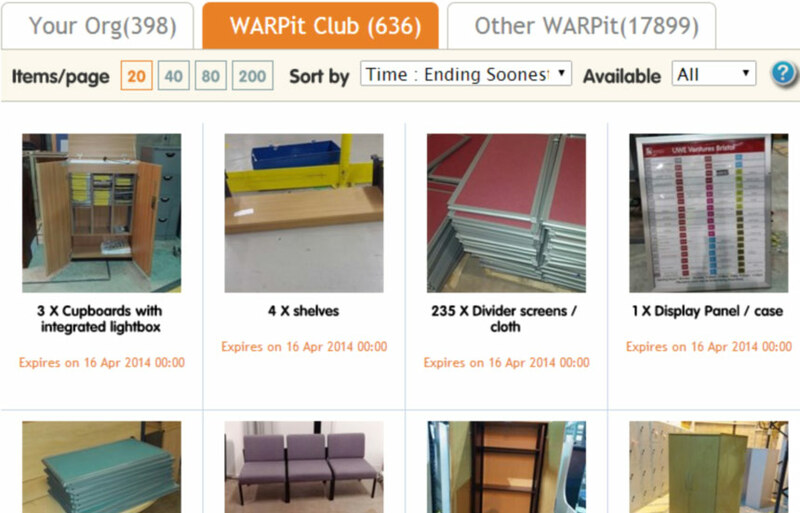 Find, give away, or loan office furniture, equipment and other unused resources within your own organisation and beyond. 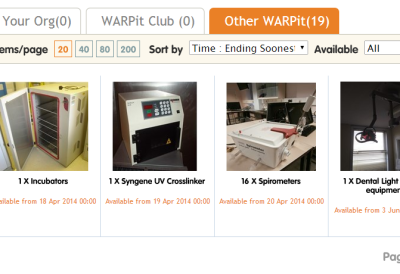 Search for surplus items within your organisation, or in partner organisations. Add items to your “Watch list” or “Wish list” to get priority notifications. 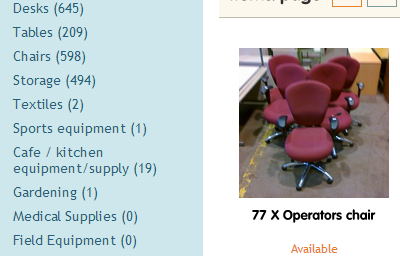 Search local regional or the whole of the network for surplus items. Reduce purchase costs and time by claiming items off other staff in your organisation or from other organisations, for free. It is easy for purchasing staff to check if others across the network have a surplus item, before making a decision to buy new, or not. Claiming an item is just a case of matching up the two parties and completing the transaction. 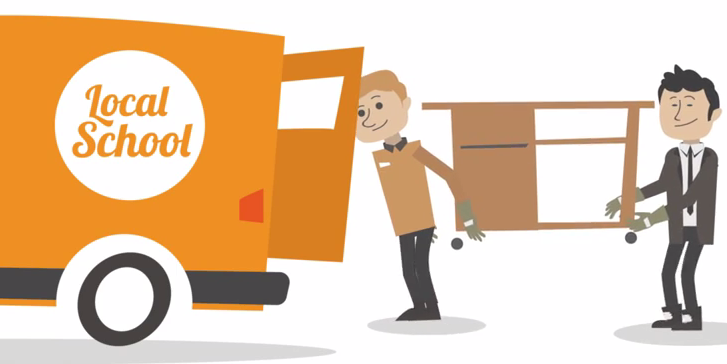 No need to go through the whole quote, purchase order and invoice process. This saves time and staff can concentrate on more important things than processing purchase paperwork! 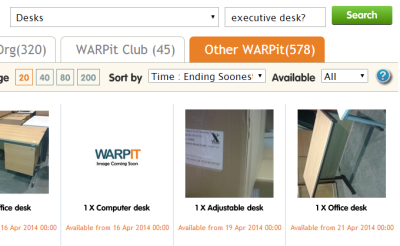 Search for items within the organisation, within partner organisations or right across the country. 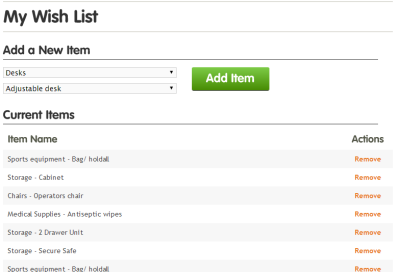 Filter searches for location or specific categories or items. 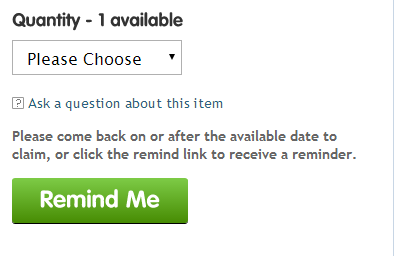 Add your own "Wish list" to get notified first if an item becomes available. When someone else adds the item, you receive an email and claim the item. If an item is being advertised but is not yet available, add it to your “Watch list” and get a notification when it becomes available. An item may not be available as it is still being advertised in the host organisation or it is still being used by the owner, but will become available in the future. 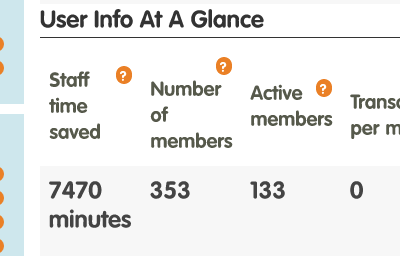 Receive customisable notifications about daily or weekly additions and other activity on your organisations' and partners' account. Control the frequency of notifications. 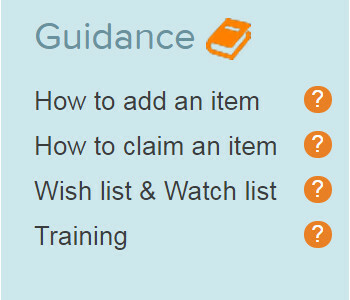 View these guides to find out how to add an item, how to claim an item and to use the wish and watch lists. It’s so helpful to know small charities such as myself can be supported with useful furniture when it’s greatly needed by bigger charities like you guys. It’s one of the best organisations I’ve ever come across and the concept is the best. 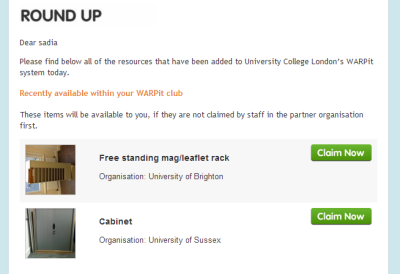 I think this is a fantastic way to reuse items that would otherwise end up in landfill..... Great work Warp It! I like the, once at the beginning of the day reminders of what is available and the ease of the system. I also love knowng that we are trying to mindful of waste and how to reuse our resources.